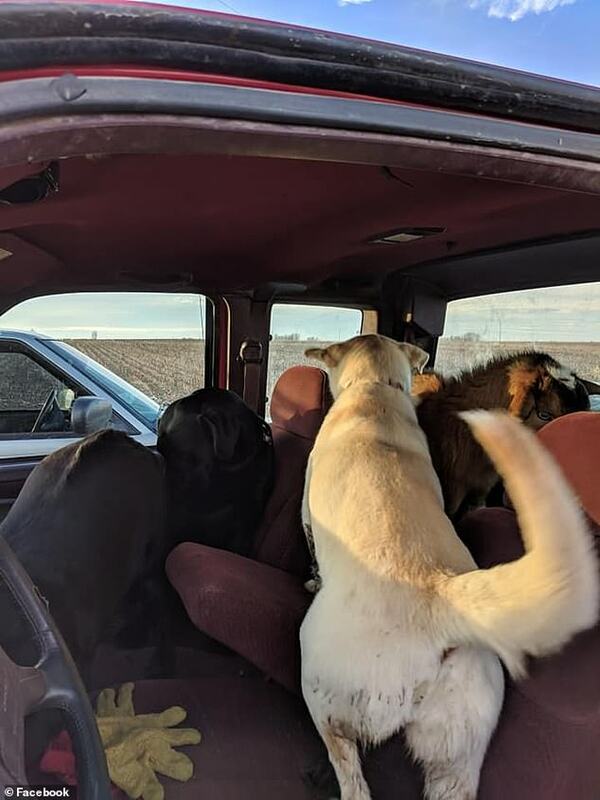 A man who thought his dog was lost forever almost ended up with three times as many after his pet returned home accompanied by another pooch and a goat. Kyle Krier’s wife, Laura, from Concordia, Kansas had let the family dog out of the house to go to the bathroom the night before – but he never came back. ‘My wife told me there was another white dog in our yard and Bo took off and would not come back,’ Kyle wrote in a posting online. Having given up almost all hope of his furry friend returning, imagine his surprise upon hearing that his dog had been seen out and about – but with company, some six miles away from the family home. Not far behind are his new found friends – another golden Labrador and a goat who seems eager to join in the fun. Bo climbed up the stairs into his pickup trunk with the other dog following closely behind. Not wanting to be left out, the goat gamely clambered up into the cabin of the vehicle. ‘Hey goat you wanna get in my truck too?’ the man asked the goat. ‘Hop in! Get in the back. Just make yourself at home,’ he said as if speaking to a group of kids. All three of the new best friends seemed very happy to be around one another as they climbed inside. 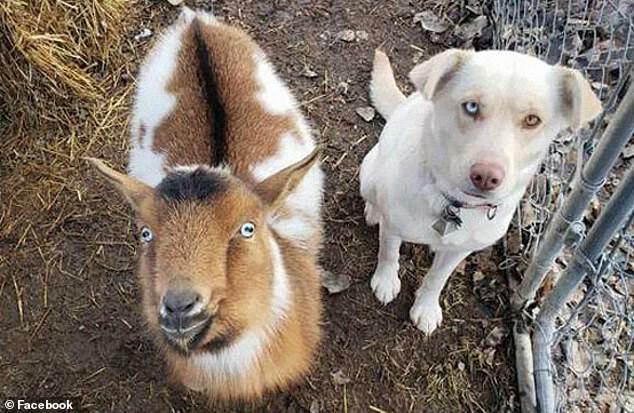 A few days later, it was discovered that the goat belonged to Kyle’s next door neighbors, Chris and Shawna Huggans, while the other Labrador also lived close by, meaning there are plenty more adventures in store for this trio!